For many families, the costs of taking standardized tests like the ACT, SAT and AP’s are out reach. 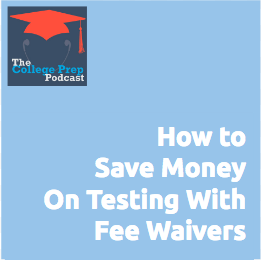 However, it is possible to receive fee waivers, and Megan breaks down exactly how. How to use these processes for waiving university application fees as well. Please spread the word among friends, local organizations, and those who work with students who may need assistance.